I was back in the woods with my ProSilva Ireland forest family last weekend. 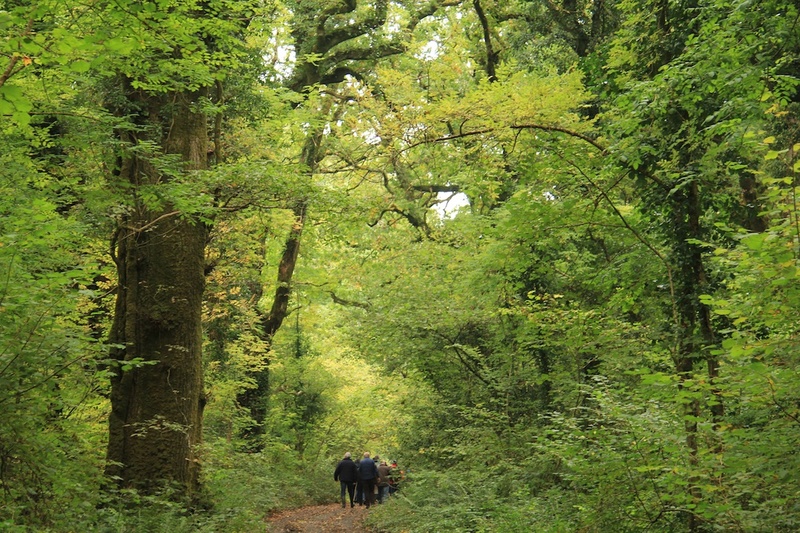 With foresters, ecologists, forest owners, tree-harvesters, forestry students and newcomers, we visited the beautiful broadleaf and conifer-mixed Raheen forest near Scariff in Co. Clare (West Ireland). There are remnants of wonderful ancient Sessile Oak woods there (picture above), and they, and much of the conifer areas, are being tended for close-to-nature continuous cover forest (CCF) management (the conifers are selectively thinned to let the native tree species naturally regenerate). Click on the link to read more from the ProSilva Ireland website.